Generational Contrasts at Your Organization? How’s That Working? 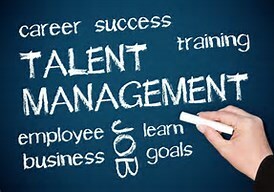 Human Capital Management: Are You Best-In-Class? Human Capital & Finance: Are You Tied to Yesterday’s Thinking? Averting Things That Go Bump in the Night At Your Workplace! Are You Touching “Today’s” Customers? Case Study – Sales Productivity Soaring! Are Your Salespeople Hitting it Out of the Park? Managers Can Help! What Is The Foundation of Your Organization’s Success? How Do You Manage Difficult Personalities? No-Cost Ways to Motivate: It Is Possible! Should You Build a Talent Pipeline? Thoughts on Why it Makes Sense. Improved Sales Performance? Replicate Your STARS! Hiring Recent College Grads? What Should You Look For? 6 Essential Traits of Highly Effective Managers: Do You Have Them?